Inspire your inner artist with a custom studio designed to organize your supplies and encourage years of creative fun. As functional as it is beautiful, this space is expertly crafted in warm Thoroughbred color with natural wood-grain texture, clean white surfaces, and doors with eye-catching 3Form translucent resin panels. The sleek contemporary style of this laundry room, designed in rich Caviar with white accents, 3Form translucent resin panels, and integrated lighting, has a polished look that makes the whole space feel clean. A custom design lets you take advantage of every square inch, and a bright open counter-top offers extra space for storage or folding laundry. Looking for a creative way to do more within the same space? The innovative ORG Home desk bed converts small spaces in a matter of minutes without adding or moving furniture. By day, its large open work surface provides ample space for homework, surfing the web, or creativity. By night, the work area transforms into convenient sleeping quarters, which disappear just as easily in the morning. Wall-to-wall mudroom storage keeps you organized coming and going.Hang, grab, and stow shoes, sheatshirts, backpacks and equipment you tote here or there. Intuitive hooks, shelves, and drawers keep everyday items in order and out of the house. 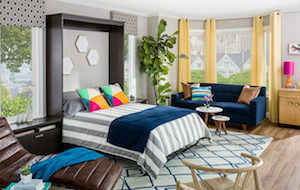 ORG Home Murphy Beds were created for the many roles you expect your home to play, letting you transition from home office, library, or open space to a bedroom or welcoming guestroom at a moment’s notice. Bed frames are designed for standard mattresses, offering un-compromised comfort for every night or whenever guests visit. A spring-balanced mechanism makes it easy to transition, and a built-in strap keeps bedding secure when the bed is stowed. We collaborate with you to create an environment that invites idea sharing and embraces individuality. Wrap-around desks and open shelves store documents and support work activities. With our custom capabilities, columns, corners, and other irregularities don't inhibit the design. Refined and steam-lines spaces with coordinated finishes and gardware integrate with your architecture. Safeguard, store and showcase your wine collection with the handcrafted cellar of your dreams. Our wine storage systems provide a unique, distinctive design that maximizes capacity, while preserving and displaying your wine for long-term storage. Our in-depth discovery process includes your aesthetic desires, budget, bottle counts, types of storage and the available footprint you wish to build within. We will also ask you about any unusual bottle sizes you may have collected, your consumption patterns, the anticipated growth of your collection and how you intend to use your cellar. 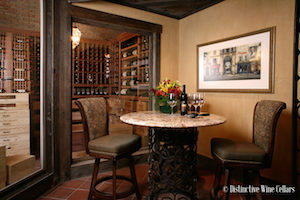 With over seven decades of collective experience in woodworking, our craftsmen take great pride in the quality of their work, designing and building a wine cellar at a competitive price that will last a lifetime. 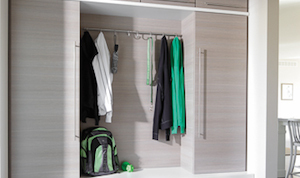 Closet design and organization creates efficiency and style in your home. 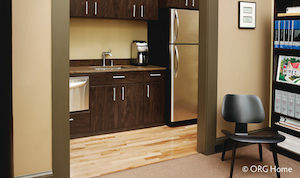 Sierra Nevada Cabinets & Closets transforms your home's average closets into luxurious, space-saving areas. From master bedroom walk-ins to entry way and reach in closets, Sierra Nevada Cabinets & Closets helps you maximize the functionality of your space. We work closely with you to identify the primary uses of your closet while working within your budget to breathe new life into it.